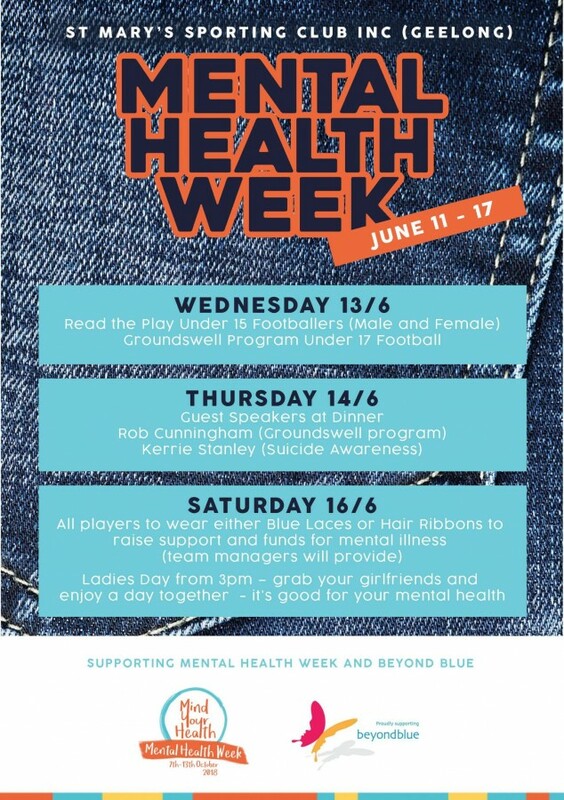 St Mary’s will be raising awareness of mental health by holding a Mental Health Week June 11-17. There will be various programs run for certain age groups and 2 guest speakers following Thursday night meals next week June 14. 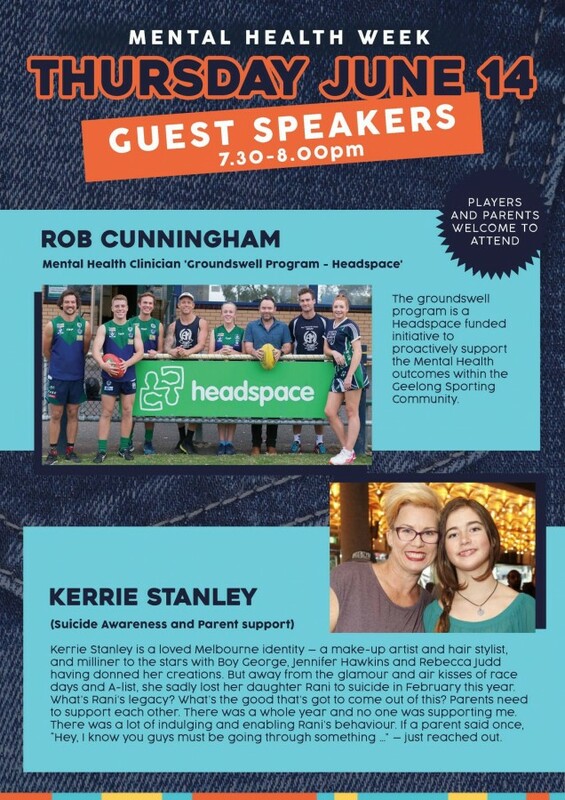 On Saturday June 16 footballers will be wearing blue laces and netballer’s blue ribbons to raise awareness.